APTRANSCO has released notification for Company Secretary of State of Andhra Pradesh in Various Number. So, this is good opportunity who are waiting to get into the government sector. As per the notification, the Andhra Pradesh Transmission Corporation Limited invites application forms from all the eligible candidates for the post of Company Secretary on Contract Basis. This Company is having an authorized capital of Rs.1500 crores is a wholly state-owned company and is engaged in the business of Power Transmission and related activities in the state of Andhra Pradesh. This engagement is on contract basis initially for a period of one year. company secretary has to work with the Chairman and Managing Director of the Company in Vidyuth Soudha Hyderabad/ Vijayawada. Experienced candidates are eligible to apply for this post. We can say this will be a good career opportunity for the people who are looking out for the bright future. Selected candidates will get a good salary around 40,000 per month. so, we can say that this will be a good opportunity to aspirants who are interested in this field. And also candidates interested can check other govt jobs in Andhra Pradesh State on our site sarkarirecruitment.com as we update site much often with accurate information. 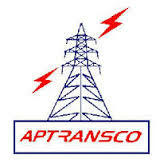 APTRANSCO is known as Transmission Corporation Of Andhra Pradesh Limited. The government of Andhra Pradesh is running APTRANSCO with a vision to Plan, Construct and Maintain the Transmission Network in the State of Andhra Pradesh in line with Demand Growth and Generation Expansion in an efficient manner so as to ensure the highest availability and lowest operational costs. And it works with values like Customer Centric Operations, Team Work, Accountability, Integrity, Social Responsibility. The erstwhile Andhra Pradesh State Electricity Board which came into existence in 1959 was responsible for Generation, Transmission, and Distribution of Electricity.Under Electricity Sector Reforms agenda, Government of Andhra Pradesh promulgated Andhra Pradesh Electricity Reforms Act,1998.The erstwhile APSEB was unbundled into one Generating Company (APGENCO), One Transmission Company(APTRANSCO) and Four Distribution Companies (APDISCOMs) as part of the reform process. APTRANSCO came into existence on 1.02.1999.From Feb 1999 to June 2005 APTRANSCO remained as a Single buyer in the state-Purchasing power from various Generators and selling it to DISCOMs in accordance with the terms and conditions of the individual PPAs at Bulk Supply Tariff(BST) rates. Subsequently, in accordance with the Third Transfer Scheme notified by GOAP, APTRANSCO ceased to do power trading and has retained powers of controlling system operations of Power Transmission. Candidate should be the member of the Institute of Company Secretaries of India with relevant experience. Block/ APTRANSCO/ Vidyut Soudha/ Hyderabad.